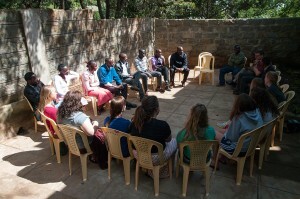 Today we got to experience the stories of the Women of Courage with the Rift Valley Fellowship. 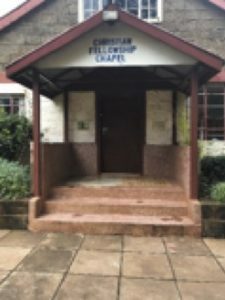 These women have been on the streets of Maai Mahiu and the Rift Valley Fellowship has helped them find a home, put their children in school, and make a living. They have work by making crafts such as jewelry, bags, and figurines. 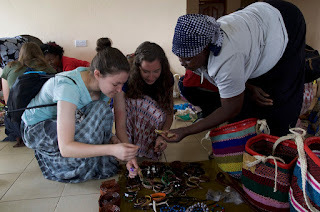 We had the opportunity to support these women by buying some of their crafts. After we had looked around and bought what we wanted the women got to have fellowship while the men went out back to pack food for the women. Esther explained to us that even though the women were going to be singing in English, Kikuyu, and Swahili, we were still welcome to sing and worship with them. At first, it was kind of awkward because we had no idea what was going on, but the women had so much energy while worshiping that it was contagious. 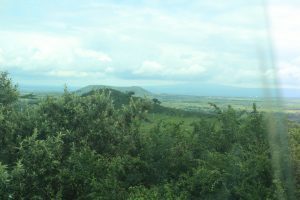 Even though I know all of three words in Swahili, I found myself singing along to the parts I knew and stumbling along of the parts that I didn't know. We stood in a circle, and one woman would lead and the other would kind of call in a response. Lots of clapping, loud singing, and dancing ensued from there. Overall it was a really great experience to worship God with the wonderful women. Once we had finished singing, we split up in to groups and talked with some of the women. We shared our names, stories, and prayer requests. It was really interesting to hear some of these women's stories and hear their requests. It went from health and wellness to praising God because one of their children was able to go to college. It was a great opportunity to open our eyes to a world that we have never seen or considered before and help us to understand God’s grace a lot more. While this was occurring, us guys were packing food for ladies who had been affected by prostitution and other hardships. This food went to some of those who the ladies sung with. The food consisted of cornmeal, maze, beans, rice and sugar. Once packed in bags and the ladies were done with the fellowship we all went to Cafe Ubuntu were we had Kenyan burritos and pizza. Yes pizza, and burritos. The food was great there while the food as similar to home it was different enough to make it an experience. 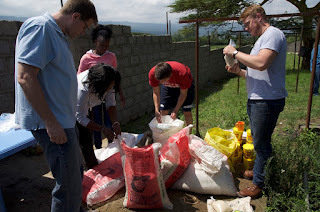 After that we took the food the guys packed to the homes that Isaac and Ester had designated us to take to. When getting there we gave them the food and were able to learn and pray about what they needed prayed for. Even though they had little they were grateful for the littlest of things. It was moving to be able to bring not only food that provides for physical needs but also to be able to pray which not only brought spiritual healing to them but also spiritual grow to us. Being able to see smiles and gratitude that we came miles to just be there with them gave them a sense that we love and care for them even though we are foreign. Over all today was a day that gave us the ability to see the hands and feet of Isaac and Ester move in the calling of God to the people they minister to. These people are not weak but strong. They are loved and they love. They cannot only use our prayer but we can learn about grace, God's faithfulness, and God's pursuing love from Isaac and Ester and the women they minister to. So when we see gratitude on her face we see stories of transformation and stories of the greater story that God is working out in the entire world. Sounds like you guys are having a great trip so far and God is showing you and teaching you some amazing things. My hope and prayer for your team is that God will continue to bless you as he opens Doors for you to build relationships and do his work for the kingdom.